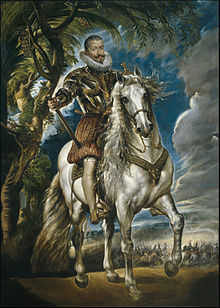 Philip III ( Spanish: Felipe; 14 April 1578 – 31 March 1621) was King of Spain. 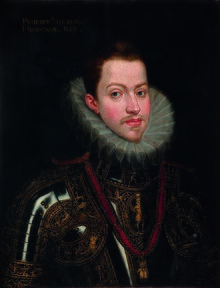 He was also, as Philip II, King of Portugal, Naples, Sicily and Sardinia and Duke of Milan from 1598 until his death. Although also known in Spain as Philip the Pious,  Philip's political reputation abroad has been largely negative – an 'undistinguished and insignificant man,' a 'miserable monarch,' whose 'only virtue appeared to reside in a total absence of vice,' to quote historians C. V. Wedgwood, R. Stradling and J. H. Elliott. In particular, Philip's reliance on his corrupt chief minister, the Duke of Lerma, drew much criticism at the time and afterwards. For many, the decline of Spain can be dated to the economic difficulties that set in during the early years of his reign. 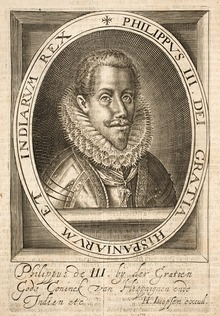 Nonetheless, as the ruler of the Spanish Empire at its height and as the king who achieved a temporary peace with the Dutch (1609–1621) and brought Spain into the Thirty Years' War (1618–1648) through an (initially) extremely successful campaign, Philip's reign remains a critical period in Spanish history. Philip first met the Marquis of Denia – the future Duke of Lerma – then, a gentleman of the King's chamber, in his early teens. Lerma and Philip became close friends, but Lerma was considered unsuitable by the King and Philip's tutors. 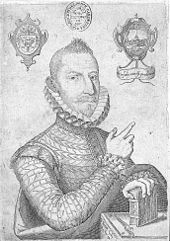 Lerma was dispatched to Valencia as a Viceroy in 1595, with the aim of removing Philip from his influence;  but after Lerma pleaded poor health, he was allowed to return two years later. By now in poor health himself, King Philip II was becoming increasingly concerned over the prince's future, and he attempted to establish de Moura as a future, trusted advisor to his son, reinforcing de Loaysa's position by appointing him archbishop. The prince received a new, conservative Dominican confessor. The following year, Philip II died after a painful illness, leaving the Spanish Empire to his son (and grandnephew), King Philip III. 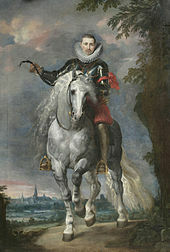 Philip III's approach to government appears to have stemmed from three main drivers. Firstly, he was heavily influenced by the eirenic ideas being circulated in Italian circles in reaction to the new Humanist theories of governance, typified by Machiavelli. Writers such as Girolamo Frachetta, who became a particular favourite of Philip, had propagated a conservative definition of 'reason of state' which centred on exercising a princely prudence and a strict obedience to the laws and customs of the country that one ruled. Secondly, Philip may have shared Lerma's view that the governmental system of Philip II was fast proving impractical and unnecessarily excluded the great nobles of the kingdoms – it had been creaking badly in the last decades of his father's life. Lastly, Philip's own personality and his friendship with Lerma heavily shaped his approach to policy-making. The result was a radical shift in the role of the crown in government from the model of Philip II. This new system of government became increasingly unpopular very quickly. The novel idea of a valido exercising power went against the long-standing popular conception that the king should exercise his powers personally, not through another. Before long, the apparatus of the Spanish government was packed with Lerma's relatives, Lerma's servants and Lerma's political friends, to the exclusion of others. Lerma responded by further limiting his public visibility in politics, avoiding signing and writing documents personally,  and constantly stressing that he was, humbly, only working on behalf of his master, Philip III. De Lerma's role as royal favourite at court was further complicated by the rise of various ' proconsuls' under Philip III's reign – significant Spanish representatives overseas, who came to exercise independent judgement and even independent policies in the absence of strong leadership from the centre. The challenges to government communication during the period encouraged aspects of this, but the phenomenon was much more marked under Philip III than under either the reign of his father or son. From 1612 onwards, and certainly by 1617, the Lerma administration was crumbling. The monopoly of power in the hands of the Lerma's Sandoval family had generated numerous enemies; Lerma's personal enrichment in office had become a scandal; Lerma's extravagant spending and personal debts was beginning to alarm his own son, Cristóbal de Sandoval, Duke of Uceda; lastly, ten years of quiet diplomacy by Fathers Luis de Aliaga, Philip's confessor, and Juan de Santa Maria, Philip's daughter's confessor and a former client of Queen Margaret,  had begun to apply personal and religious pressure on the king to alter his method of government. Philip remained close to Lerma, however, and supported him in becoming a cardinal in March 1618 under Pope Paul V, a position which would offer Lerma some protection as his government collapsed. Philip inherited an empire considerably enlarged by his father. On the peninsula itself, Philip II had successfully acquired Portugal in 1580; across Europe, despite the ongoing Dutch revolt, Spanish possessions in Italy and along the Spanish Road appeared secure; globally, the combination of Castilian and Portuguese colonial territories gave a Spanish ruler unparalleled reach from the Americas to the Philippines and beyond through India to Africa. The challenge for such a ruler was that these territories were in legal reality separate bodies, different entities bound together through the 'supraterritorial' royal institutions of the Spanish crown, utilising Castilian nobility as a ruling caste. Even within the peninsula itself, Philip would rule through the kingdoms of Castile, Aragon, Valencia and Portugal, the autonomous provinces of Catalonia and Andalusia – all only loosely joined together through the institution of the Castile monarchy and the person of Philip III. Each part had different taxation, privileges and military arrangements; in practice, the level of taxation in many of the more peripheral provinces was less than in Castile, but the privileged position of the Castilian nobility at all senior levels of royal appointment was a contentious issue for the less favoured provinces. Whilst popular at the time, and in keeping with earlier policies, this measure significantly damaged the economies of the Kingdom of Valencia, Aragon, and Murcia. The supply of cheap labour and the number of rent paying property owners in these areas decreased considerably, as did agricultural outputs. The cultivation of sugarcane and rice had to be substituted for white mulberry, vineyards, and wheat. Philip III's reign was marked by significant economic problems across Spain. Famine struck during the 1590s through a sequence of bad harvests, whilst from 1599 to 1600 and for several years afterwards there was a terrible outbreak of bubonic plague across Spain, killing over 10% of the population. Mateo Alemán, one of the first modern novelists in Europe, captured the despondent mood of the period, describing 'the plague that came down from Castile and the famine that rose from Andalusia' to grip the country. Whilst the failing harvests affected the rural areas most, the plagues reduced the urban population most significantly, in turn reducing the demand for manufactured goods and undermining the economy further. The result was an economically weakened Spain with a rapidly falling population. Throughout Philip's reign, a body of analysis of Spain's condition began to emerge through the work of the numerous arbitristas, or commentators, that dominated public discussions from around 1600 through to the 1630s. These different voices focused heavily on the political economy of Spain – the rural depopulation, the diverse and bureaucratic administrative methods, the social hierarchies and corruption, offering numerous, if often contradictory, solutions. Nonetheless, through most of Philip's reign there was no significant attempt at reform – Philip continued to rule in line with local laws and customs. Philip encouraged consolidation of noble estates, selling off large quantities of crown lands to favoured nobles and creditors. There were no attempts to create an equivalent to the French intendant position – the closest equivalent, the corregidor, lacked the strong links to the crown required to overcome local opposition. 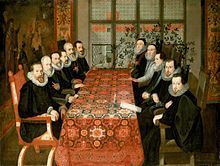 Only in Philip's final years did reform begin to gain momentum; a reform committee, or Junta de Reformación, was established in Lerma's final months in 1618. Under the incoming administration, including the reformist Baltasar de Zúñiga, this committee ground on, but would only deliver substantial, if ill-fated results, when rejuvenated under Philip IV's reign. Philip's own foreign policy can be divided into three phases. For the first nine years of his reign, he pursued a highly aggressive set of policies, aiming to deliver a 'great victory'. His instructions to Lerma to wage a war of 'blood and iron' on his rebellious subjects in the Netherlands reflects this. After 1609, when it became evident that Spain was financially exhausted and Philip sought a truce with the Dutch, there followed a period of retrenchment; in the background, tensions continued to grow, however, and by 1618 the policies of Philip's 'proconsols' – men like Spinola, Fuentes, Villafranca, Osuna and Bedmar – were increasingly at odds with de Lerma's policy from Madrid. The final period, in which Philip intervened in the Holy Roman Empire to secure the election of Ferdinand II as Emperor and in which preparations were made for renewed conflict with the Dutch, largely occurred after the fall of de Lerma and the rise of a new, more aggressive set of advisors in the Madrid court. Crisis broke out in Ferdinand's kingdom of Bohemia during 1618–19, with a confrontation between Catholic and Protestant factions. Ferdinand asked Spain for help to put down the rebellion; the Protestant rebels turned to Frederick V of the Palatinate as a new ruler and Emperor. 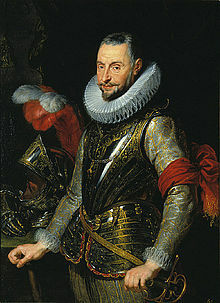 The situation in the Empire was in many ways auspicious for Spanish strategy; in the Spanish Netherlands Ambrosio Spinola had been conspiring to find an opportunity to intervene with the Army of Flanders into the Electorate of the Palatinate. The Palatinate was a vital, Protestant set of territories along the Rhine guarding the most obvious route for reinforcements from other Spanish territories to arrive into the rebellious Dutch provinces (through Genoa). France, assumed bound to support Frederick against Ferdinand, was in fact inclined to remain neutral. The Spanish troops headed by Spinola in the Palatinate and by Johann Tserclaes, Count of Tilly in Bohemia achieved a decisive victory against the Czechs in the Battle of White Mountain in 1620. With the Dutch now vulnerable to a strike through the Rhine valley, a renewed war against the Provinces, with the aim of forcing the Dutch to a more suitable permanent peace, appeared inevitable. 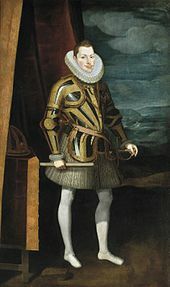 Philip died in 1621 shortly before the recommencement of war – his son, Philip IV, retained his chief foreign policy advisor, de Zúñiga, and an initially highly successful campaign against the Dutch began the same year. Philip has generally left a poor legacy with historians. Three major historians of the period have described an 'undistinguished and insignificant man',  a 'miserable monarch',  whose 'only virtue appeared to reside in a total absence of vice'. More generally, Philip has largely retained the reputation of 'a weak, dim-witted monarch who preferred hunting and traveling to governing'. Unlike Philip IV, whose reputation has improved significantly in the light of recent analysis, Philip III's reign has been relatively unstudied, possibly because of the negative interpretation given to the role of Philip and Lerma during the period. Traditionally, the decline of Spain has been placed from the 1590s onwards; revisionist historians from the 1960s, however, presented an alternative analysis, arguing that in many ways Philip III's Spain of 1621 – reinforced with new territories in Alsace, at peace with France, dominant in the Holy Roman Empire, and about to begin a successful campaign against the Dutch – was in a much stronger position than in 1598, despite the poor personal performance of her king during the period. Philip's use of Lerma as his valido has formed one of the key historical and contemporary criticisms against him; recent work  has perhaps begun to present a more nuanced picture of the relationship and the institution that survived for the next forty years in Spanish royal government.